When you’re pushed from all sides for quick answers, quick results and quick fit-in jobs- . . . constantly interrupted . . . misunderstood because those around you haven’t listened and you have to repeat explanations. When you feel tired and have a headache and people make unreasonable demands . . . meet with criticism, ingratitude, intolerance and noise — it’s only natural to feel upset and irritated. 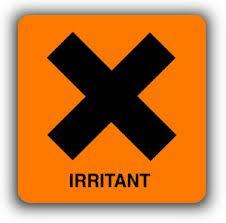 Irritation is common in this frenetic age. Even worse is the venting of it in snappy remarks like “Can’t you see I’m busy?” If you’ve spent a long time trying to do a job well, it’s easy to snarl, “If it isn’t right, do it yourself.” Yet, for your own sake and, because of the need to create harmony around you, it’s essential to develop the habit, not only of controlling but transcending irritation. In the East, it is taught that irritation produces a subtle inner poison which cuts off the channels of life-giving electricity that should flow freely through our body as invisible waves of distorted force, building a stagnant, unpleasant atmosphere and contaminating everything around us. We’ve all experienced the negative effects of a place, sensing that something is wrong but we don’t quite know what. On the other hand, what a joy it is to visit the home of someone who is calm, positive, serene in difficult circumstances and quick to utter a constructive, tension-breaking remark. Such a person creates an atmosphere which uplifts the spirits and makes us feel good, no matter how humble the setting. Of course, there may be times when it is necessary to express justified annoyance; but we must learn to do this in non-damaging ways at the right time, not as a snap-back reaction. Sometimes silence is the only response. Hasty words, hurled in a flash of irritation, can have long-lasting adverse effects. How can you protect yourself from expressing your own irritation, or from being at the receiving end of the another’s? You can strive to be detached, observant and analytical. Detachment helps us not to identify with negative impressions. When you observe things impersonally, trying to analyse and understand the cause, you minimise hurtful effects. What is happening?, Why?, How can you improve the situation? You must try to develop the habit of appreciation and gratitude — try to see something good about the person or situation irritating you, or think of the negative happening as your opportunity, perhaps, to learn self-control and patience. Pray that Almighty ALLAH will change you and give you wisdom to deal with the situations better. Patience is a virtue and shows inner strength, just to put yourself in a position where you can smile at the situation and the irritation instead of getting upset with those causing it. You must try also, consciously, to build a joyful, beautiful atmosphere around you — through the beautiful creations of ALLAH, plants and flowers; through orderliness (which cuts down on unnecessary irritation caused by losing things); and making brief breaks when things become hectic. Hymn the praises of ALLAH TA’ALA (make zikr),go to a window to breathe some fresh air, do some neck, shoulder and eye exercises to release tension, or take a quick walk around the garden if you’re at home, reflect, meditate, ponder etc Those few moments of tranquility can restore you and enable to cope better with irritating circumstances. Respond positively and don’t just react impulsively!. A response is always considered creative and positive; a reaction usually hasty and negative. Strive, at least, for harmlessness in all you dealings. And it helps to remember that those difficult people who upset and irritate us so much are our greatest teachers, for they help us develop qualities of patience and self-discipline. Since they, too, are part of ALLAH’S creation, we can pray for them, bless them silently, and ask for help in dealing with them. Above all, cultivate laughter, joy,prayer and serenity. These, perhaps, are your greatest weapons against that everyday scourge — irritation. Previous Ghusl after using vaginal cream? Next Is it necessary to inform relatives of Zakaat?